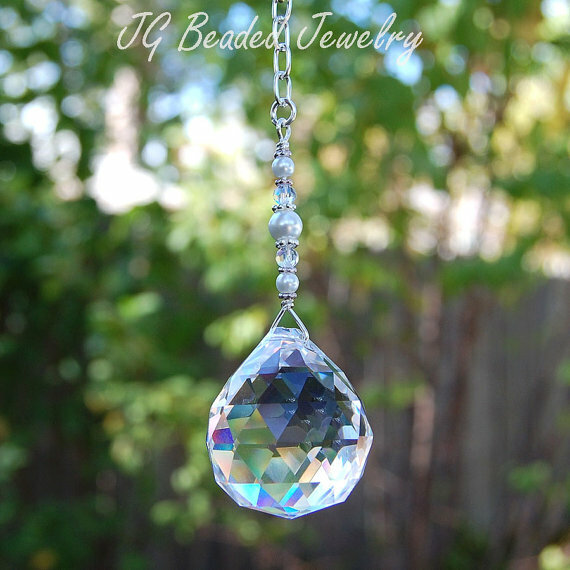 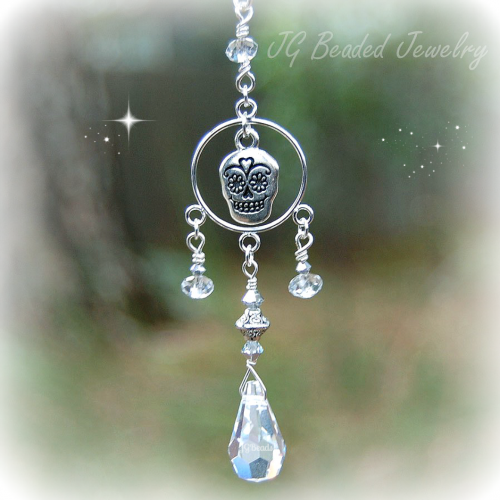 This hanging pearl prism crystal can be hung from the rearview, at home or attached to your ceiling light pull chain! 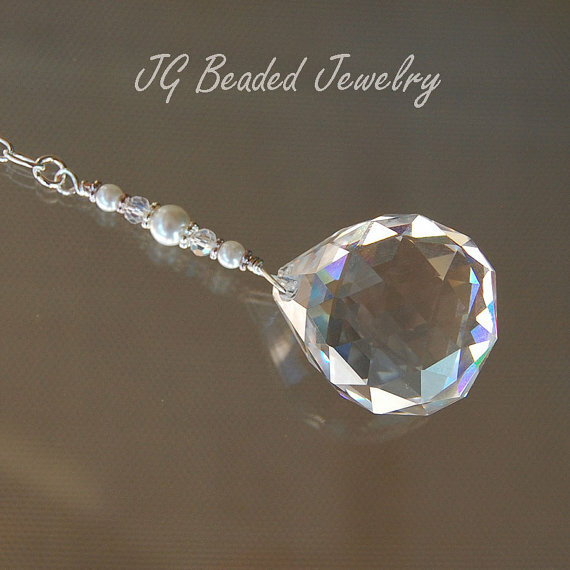 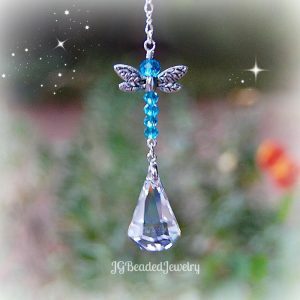 This unique design is created with a beautiful 30mm crystal clear prism, iridescent faceted crystal beads, white Swarovski glass pearls and fancy silver metal beads. 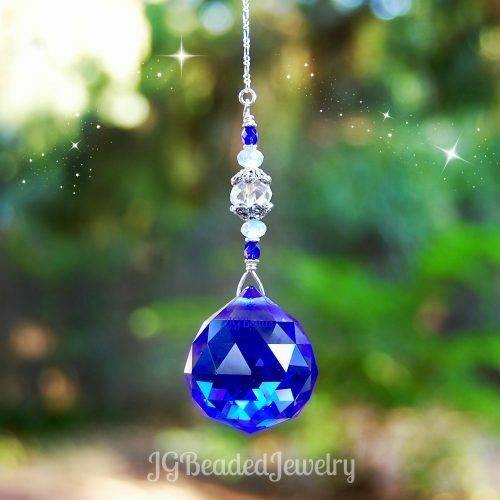 It is securely wire wrapped for strength and attention to detail with love and care! 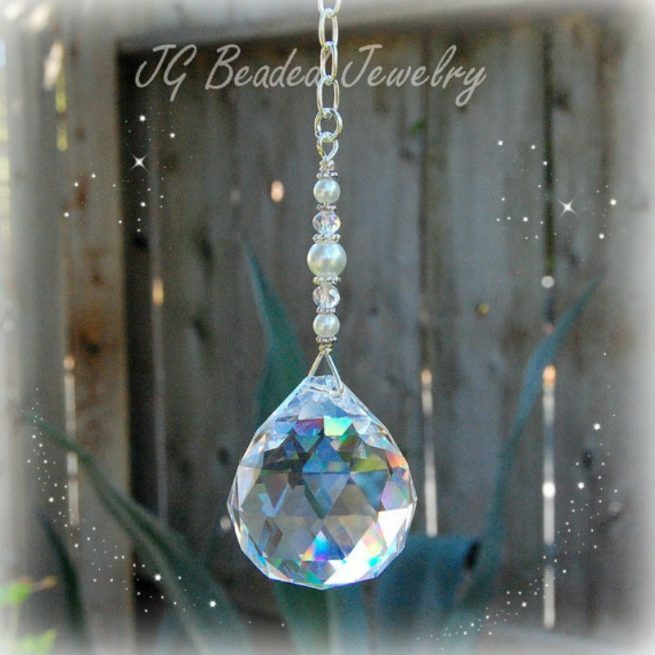 Available with lavender Swarovski glass pearls here!